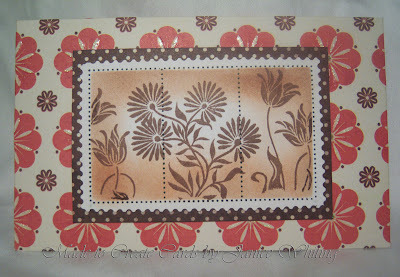 This is my second card towards Nina Brackett's 1st Blog Anniversary Challenge. 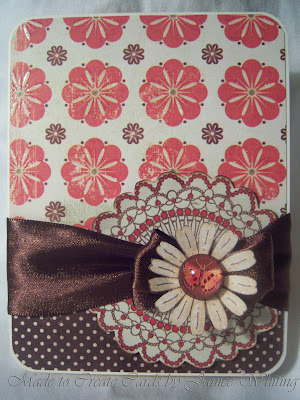 I really love the paper (My Mind's Eye) and again, there is that wonderful doily again! This time I change it up a bit coloring in some places for accenting and cutting out the middle so that I would be a bit smaller. I'm also entering this one in the CPS Sketch Challenge#160. I have these papers, too. So pretty and vintage. 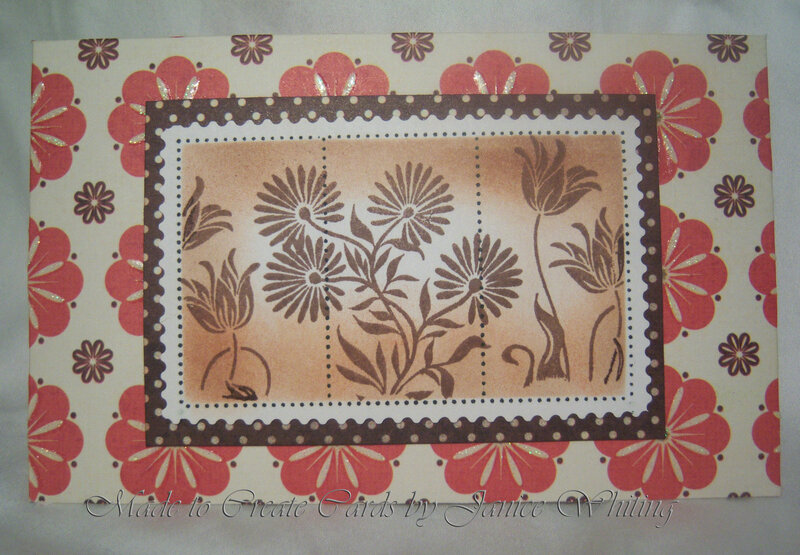 Beautiful designs Janice :o) Hey, is that postage grid from Just for Fun stamps? If so I have the same one and haven't used it in ages...need to get those out again. 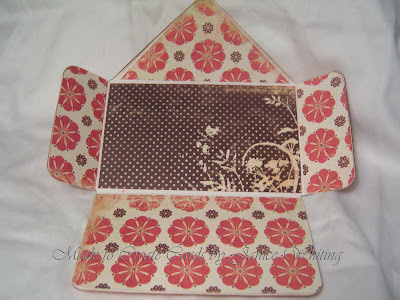 I picked mine up at a Scrap&Stamp Show in Winston-Salem last year.